With Thanksgiving and Christmas coming up, there’s bound to be pie in your life sometime soon! Whether you’re hosting a holiday and have friends with dietary restrictions, or you yourself have food allergies, it’s always a good idea to have a few allergen-free tricks up your sleeve. 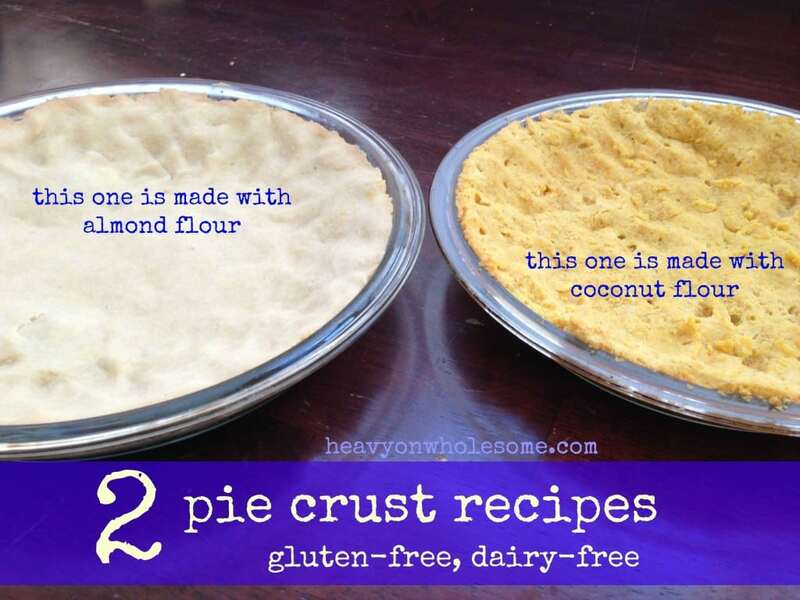 Try these recipes for almond and coconut flour pie crust! In a mixing bowl, whisk the egg. Stir in flour and milk and mix until dough forms a ball. Press into a 9-inch pie pan. Bake for 18-20 minutes at 350 degrees. In a large mixing bowl, whisk eggs. Stir in coconut oil. Add dry ingredients and liquid and stir until dough forms a loose, sticky ball. Press into a 9-inch pie pan. Bake for 15 minutes at 350 degrees. What are your favorite kinds of pies? So if I wanted to use the almond flour one to make an apple pie, does it hold together well enough that I could make the top crust? Or will this only be suitable for a bottom crust? I didn’t create these recipes (our contributor Kimball did), but having worked with an almond flour crust once, I would suggest doing something else for a topping. Almond flour + cinnamon + maple syrup or sucanat + coconut oil makes a great crumb topping. I have the same question with the coconut one…. Hey Kimball or Kate, I was wondering if these froze well? I like to put my pies together a week or so in advance, freeze, then pop right in the oven. What do you think? I tried the coconut one for pot pie and just couldn’t get past the strong coconut flavor that didnt go with pot pie. I will probably stick with that one for just sweet stuff.